Seems my IP may have been banned from that site for some reason. Is this American only? The wiki makes out like it is with only a mention of a US date and nothing else. The more classical Disney the better, mind. Princess and the Frog was ace, technical issues in the cinema aside. It looks like Newt may be cancelled or on hold. Whilst it did sound a rather 'un-Pixar' like film I wonder what they will be putting in it's place (unless Monsters Inc 2 fits nicely into the scheduling). 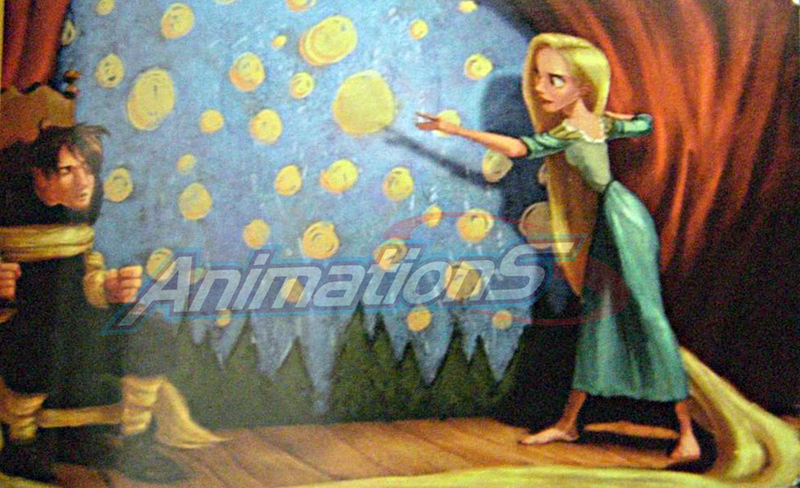 It appears they've taken the lovely artwork from the original Rapunzel concepts and ditched it in favour of something...else. It is unfair to criticise the film on a clip that is about 8 seconds long but it looks loud, brash and ugly. It's looking more Disney than Pixar in that clip. It's a promo on the Disney Channel, they have to punch the kids in the face and make them sit up and take notice. The facial expression of the fella are straight out of the incredibles. FAITH, BROTHERS AND SISTERS!! Have faith. I think his face on the poster is a nod to the Dreamworks face. This isn't a full Pixar film, is it? I though it was a Disney production, like Bolt? 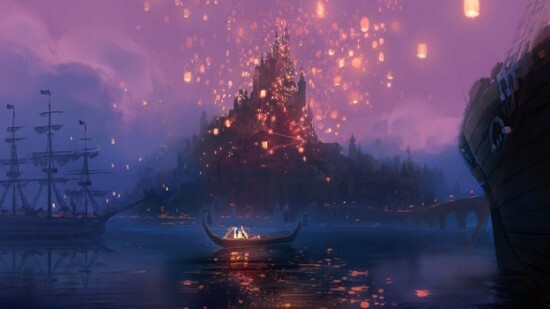 It is Disney but as the film has been mentioned in this thread a few times and doesn't have a dedicated thread of its own I thought I'd post it up here. Seems a mix of Shrek and Road to El Dorado to me. Which is good in one way (with a couple of obvious exceptions - Elton John soundtrack *shudder* and cookie cutter ending I thought El Dorado was massively underrated and the relationship between the main two characters is way up there in a few of my best of lists) but bad in others: Shrek never totally grabbed me - mediocre character design ahoy and lack of focus to who was the audience - and the idea of something that looks so generic seems a tough sell. 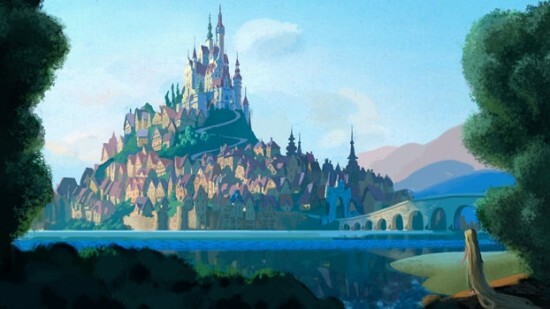 TBH a Disney 3d film (rather than Pixar) automatically inspires not much but suspicion all ways round doesn't it? Also: looks worryingly like the awful 'Barbie does generic fairy tale'/Tinkerbell meetz Bratz trailers on various DVD trailer skipfests. Ah, that explains a lot then. That was a pretty massively awful promo, but that's the Disney Channel's MO .... pure and simple. I bet everyone on the team at Pixar hated it. As for the Dreamworks comparison, even the great How to Train Your Dragon doesn't have stength of story dept that Pixar is famed for. But kudos to Dreamworks for bringing on Roger Deakins as a visual and lighting consultant on that film. Certainly hope that Andrew Stanton has been able to make use of that Pixar story dept in prepping John Cater of Mars, and perhaps also a degree of landscape and creature concepting in pre-production. They have stated that Pixar won't be involved in any of the post work on that project, as VFX shots on live action films isn't a specialism of theirs. 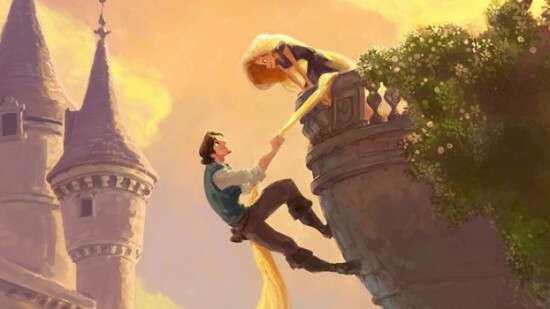 It is much better than the brief clip I posted yesterday but it still seems far too Americanised, especially the brief lines of dialogue Rapunzel has. It really does look like Road to El Dorado, as c-cat114 mentioned. The only downer is that I suspect I'll be subjected to those god-awful songs that Disney see fit to pour into all their stuff. Still, I always find it quite astonishing how 3d animations look so wonderful - I mean, the characterisation is so 2d Disney it hurts. In a good way! John K reeeeeeallly didn't like the Tangled trailer. Are people really calling 90s Disney movies a "renaissance"? My Lord, when did this become fashionable? I thought the 30s was their renaissance, if they ever had one. Was Filmation a renaissance too? It's the same style. The 90's had their problems too, namely in the sense that for their features, Disney eventually became complacent with their yet-to-be answered success. 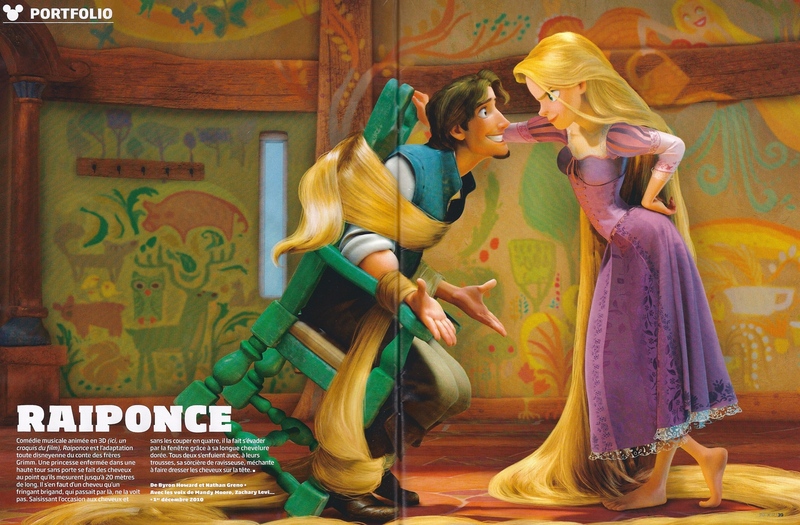 But this was a period when they had their biggest morale and dedication to animation since Sleeping Beauty. They even invited a few Golden Age veterans back to the studio. Comparing the work of their top feature animators to Filmation is unfair and inaccurate. The repetition in their features, seen in Pocahontas, Hunchback, and Hercules came from their own library, not a bottom-of-the-barrel Saturday morning cartoon company which at the time had already folded. "As hard as it is to watch Fox & Hound or The Black Cauldron, imagine working on them." I remember everyone saying how bad those were when they came out. In comparison to what came after the lawyers took over, they look like genius to me. I also remember being interviewed many times in the 90s and asked what I thought about the current "renaissance in animation" that was going on. I was always baffled by that and was quick to correct my interviewers. The Italian Renaissance was a rediscovery of Classical Greek art, knowledge and science - and what's more - a building upon it that ended the middle ages and brought on the whole concept of progress, planned discovery and rationalism. That was followed by even more discovery, the Age of Enlightenment, the concept of free thought and many other things that led to a somewhat better world. I see absolutely no analogy to animation. It's the exact opposite of what happened to our medium. Animation reached its greatest achievements in the late 1930s and on into the 1940s. Then all that skill and knowledge and progress vanished almost in the flicker of an eye. The founding principles and creative philosophy that grew the art and business so fast in the first half of the 20th century has never been rediscovered, let alone built upon. It was taken over completely by people who hate the very core of what we do. That 90s Disney stuff has executive fear and meddling written all over it. It's beyond conservative, has no solid cartoon or animation foundation to build upon. It's completely recycling the process of taking revered or old stories - and removing everything that might have been interesting in the source material -then replacing it with "What would Walt do with this?". By people who didn't know Walt. Add some songs (only now without catchy tunes), make everything super effeminate, steal some old cliched Disney expressions and hire big stars to do the voices. It's like watching an extremely superficial imitation of "full animation". This modern Disney really could more appropriately be called "full inbetweening" - because the substance is pure 80s Saturday Morning cartoons. Those movies scream "we hate cartoons". They pass off details and crowd scenes as "quality". There's no escaping the Saturday Morning foundation it is carrying on though - which is a foundation of quicksand. I've heard that theory before. It sounds like a press release written by the marketing department. Like when Katzenberg vaunted "Spirit" as being the first time anyone has animated a horse with personality. This stuff isn't even clever marketing. It tells you things that your senses (and a little knowledge of our history) completely contradict. That stuff looks (and sounds) like a blend of Ruby Spears, Dic and Filmation - all studios that I worked for and when I saw those features I recognized everything I had already worked on - only with less inbetweens. I understand people who just wanna see things move around smoothly (whether they are well drawn or conceived or not)liking the movies that brought that inbetweening back- but everything else about them blatantly boasts of corporate ignorance. They are huge expensive animated apologies for having to be drawn instead of filmed live. Yeah, there were some very talented animators and artists working on them. I know, I have worked with many of them. They are capable of much greater things than anarchic imitations of Broadway musicals and recycled characters and plot formulas. John, other than Will Finn, do you ever TALK to any current or former Disney animators? 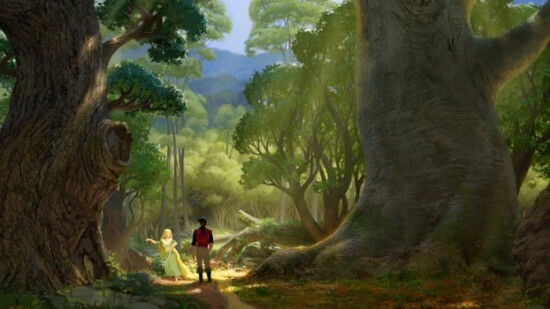 Or do any real research on Disney art and history beyond "The Illusion of Life"? It sounds like you're making all the assumptions behind their craft for them, based from your own trauma working at television studios that none of the top Disney animators dared to stay at. And as long as we're talking about recycling, Warner Bros. recycled animation and gags all the time. Including Bob Clampett. I'm making no assumptions about anything. I'm looking at the product directly and seeing it get progressively more inbred with each movie - no matter from what studio. 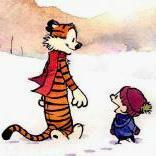 And yes I know lots of the animators and have worked with many directly. A lot of them left Filmation in the late 80s when Filmation closed down and that's why overnight the Disney movies started to look like Saturday morning cartoons. Plus the fact that executives who hate everything cartoony - even classic Disney is "too cartoony" for them - they took control over the studio, artists and production system. They squash anything remotely creative or fun before it ever has a chance to become something fresh. If you wanna stand up for outside interlopers who hate everything you do I hope you get to take orders from them some day. Warners - like every other production studio recycled some ideas for budget reasons, but they did not become inbred until the guys all got old and nowhere near the extent we have now. not in any medium - and there is no excuse because they spend more money and time per second of film than they ever did. There is no reason to cheat and recycle anymore. Believe me, I don't enjoy admitting that my chosen art form is the most inbred in the world. It's embarrassing and shameful. I don't even know why I have to say anything when those frame grabs - countless images from different films that all look exactly the same - prove it beyond all doubt. If you don't see it, there's nothing to debate. Just enjoy the robotic sameness of Barbie and Ken dolls moving exactly like every other movie and telling every fairy tale the exact same way they did 30 years ago. It's all yours to love. Oh please God, if you do exist, make sure Cars 2 is never completed. Ooooooooooooooh, the Ren and Stimpy bloke? 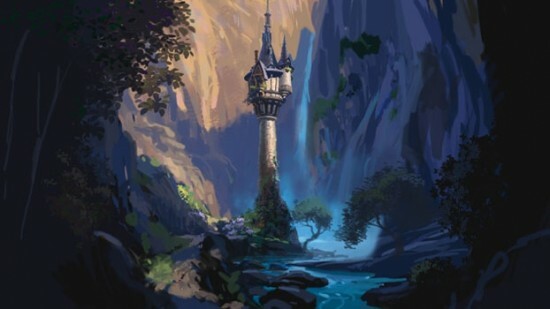 Just thought I'd compile a list of images following the production of Rapunzel Tangled. Rumour: Pixar are developing a straight-to-DVD spin-off of Cars called Planes. It had to happen eventually. Pixar has flirted with the idea of direct to DVD sequels in the past — notably with Toy Story 2 — and as the studio veers more overtly towards sequels that leverage proven characters (the Toy Story films, Cars 2, Monsters Inc. 2) it is probably inevitable that we’d see a direct to DVD Pixar project. Reportedly, the first one to actually happen could be Planes, which is intended as a spin-off from Cars. Whilst Newt has been officially cancelled Pixar have released some concept art for the film on their Facebook page. Whilst it is unlikely I wonder if the decision to release these pictures means that the project may not be as dead as first thought. I hope so. 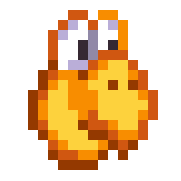 The story sounds like classic PIxar material to me with themes such as isolation and character clashes obviously being part of it. I'd like to think that they chose to do Cars 2 because it's almost unfinished business. You don't get to where Pixar and Lassetter have got without being self critical and I predict it will be much better film than Cars. If anything it bodes well that it looks like a disaster at the moment as any of their films worth their salt have been at one point.